link-local | CCIE, the beginning! IPv6 is configured on interface basis (like OSPFv3 and RIPng) and networks are advertised based on interface command. When configured on interface, IPv6 EIGRP is initially placed in “shutdown” state. As with OSPFv3, IPv6 EIGRP require a router-id in IPv4 format. Passive interfaces can only be configured in the routing process mode. Need for extra memory resources and supported in IOS 12.4(6)T and later. No split horizon in IPv6 because it is possible to get multiple prefixes per interface. No concept of classful routing in IPv6 EIGRP consequently no automatic summary. Figure1 depicts the Lab topology used for IPv6 EIGRP deployment, R1, R2 and R3 are connected to each other through a Frame Relay cloud and R2, R3 and R4 are connected to each other through LAN. Each router protect its own set of local networks. First unicat IPv6 and link local addresses are configured. Link local addresses are statically configured to make their manipulation easier. For each interface connected to the Frame relay cloud FR encapsulation is set, Inverse ARP disabled and Static mapping is performed using next-hop unicat ipv6 as well as next-hop link local ipv6. Enable unicast IPV6 routing globally. enable IPV6 on FR interface. enable IPv6 EIGRP per interface-basis. 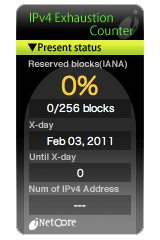 manually set IPv6 EIGRP router-id in IPv4 format. Repeat previous steps for R2 and R3 and make sure that IPV6 eigrp PROCESS id match. You can note that as in OSPFv3, IPv6 EIGRP use link-local addresses to establish neighbor relationships with its neighbors. R1 load-balanced ICMP packets between the two paths through R2 and R3. To practice IPv6 route summarization, loopback interfaces are created to simulated local networks for each router (figure1) and ipV6 EIGRP is enabled on each interface. 22 entries, only routes to FR network routes and R1 fifteen local networks, you just imagine if we add R2 and R3 local networks, or even worse in a production network with hundreds of site and thousands of routes! Here is where summarization comes, to lessen the complexity of handling routes individually. As in IPv4 EIGRP after configuring the summarization command the router drops IPv6 EIGRP relationships to reestablish them again, this renew input events and make neighbors rebuild their topology tables and perform DUAL algorithm local computation again using the new advertisements from the router who reconfigured summarization. The summarization command is performed on interface-basis, so make sure than it is executed on all EIGRP interfaces through which you want to spread summary route. The routing table is reduced to 10 entries with only summary routes to R1, R2 and R3 local networks. As with other IPv6 routing protocols there is practically nothing to do if you grasp the concept of the IPv4 version of the protocol as well as IPV6 addressing.